This evening I made Eggplant Ricotta Bake for dinner. It's one of my favorite easy ways to enjoy eggplant. 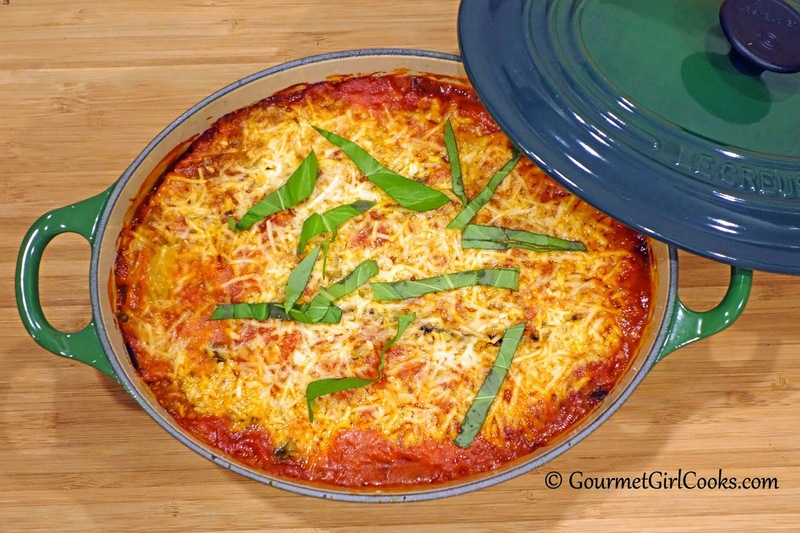 It's similar to a meatless lasagna, but quicker to make. There are very few ingredients and you can layer it however you prefer. I sometimes make 3 layers of eggplant, and other times make 4 layers, depending on the casserole I make it in. This evening I made it in my 3-1/2 quart oval Le Creuset heavy casserole pan (a gift from my daughter) and used 3 layers of eggplant. You can divide the ricotta mixture into 2 or 3 layers, whichever you prefer. I snapped a quick photo for you to see below. 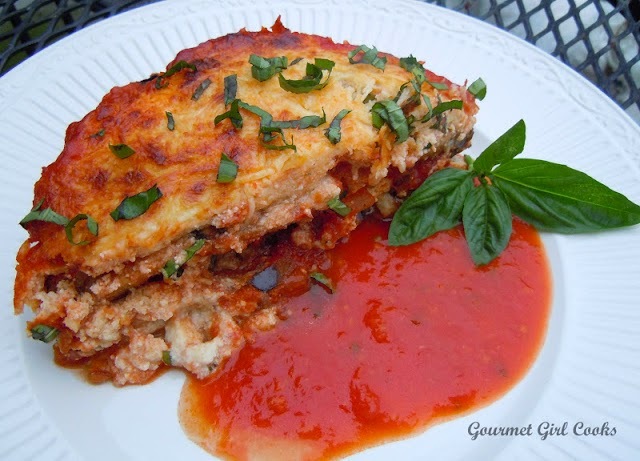 The recipe can be found here: Eggplant Ricotta Bake. Enjoy! I love your Eggplant Bake. When I make it I will eat it the whole week, as my husband isn't a fan of eggplant!